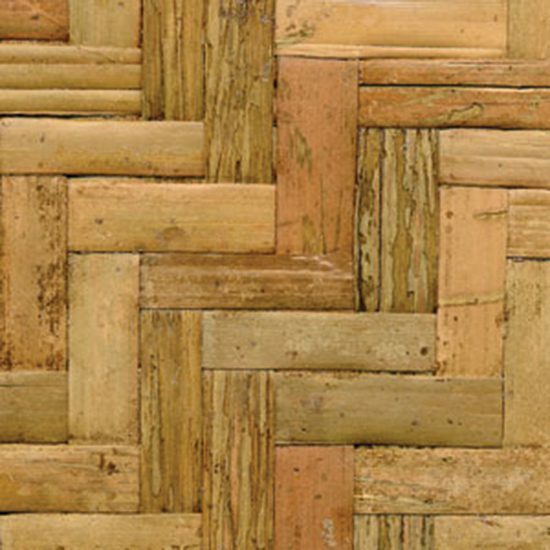 Decorative Materials: Herringbone Bamboo Plywood Thin strips of bamboo skin are woven together in a tight herringbone pattern, and then heat-pressed to create this beautiful natural bamboo plywood veneer. This is the ‘rustic’ cousin to Safari’s standard bamboo plywood. It is easy to install, and used to great effect as wall and ceiling treatments. Additionally, our bamboo plywood is used in resin-pour counters and tables.